Has anyone included "eat healthier" on their list of resolutions? I start every year with the intention of making big changes in my diet and eating healthier. 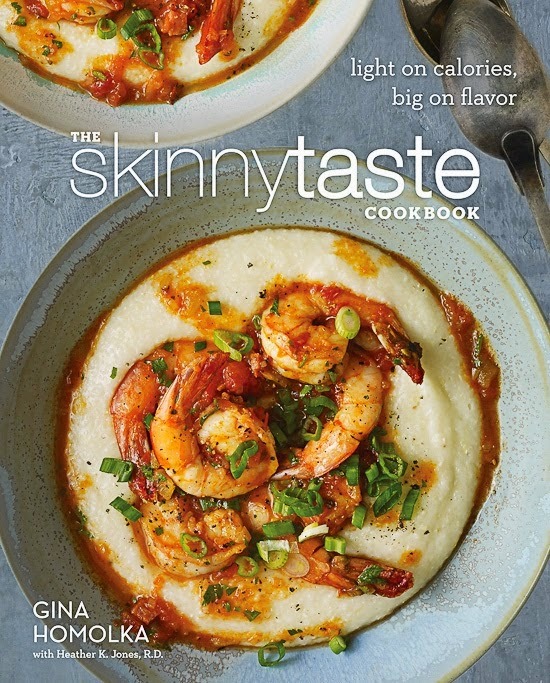 This year I think I'm off to a good start with The Skinnytaste Cookbook by Gina Homolka which promises recipes that are light on calories and big on flavor. As soon as I saw the recipes, I was hooked. The Skinnytaste Cookbook is everything I want in a cookbook: colorful and appetizing photos, clear step-by-step and easy to understand directions, and recipes that include everyday ingredients. I really like the convenient nutritional information included for each recipe too. The recipes in the The Skinnytaste Cookbook are healthy, low in calories, as well as low in saturated fat. Even though this is a health conscious cookbook, it includes recipes for traditional comfort foods like mac and cheese, french bread pizza, double chocolate chunk walnut cookies, and silky chocolate cream pie all of which have been lightened up. Healthy eating doesn't have to be difficult or time consuming. Many of the recipes in The Skinnytaste Cookbook are easy one dish recipes, slow cooker recipes, or can be made in about 30 minutes. I love that many of these recipes have ingredients that I already have in the kitchen. I made two of the slow cooker recipes which were the chicken enchilada soup and the white bean chicken chili verde. Both got enthusiastic thumbs up from the whole family! The Skinnytaste Cookbook takes a very realistic approach to healthy cooking and eating and it's perfect for anyone who is looking for fresh, flavorful, and easy to prepare healthy recipes.